The UK government is to extend its Nazi-era spoliation system indefinitely by introducing new legislation, probably next year. This will allow national museums that are forbidden from deaccessioning to restitute objects looted or subject to forced sales during the 1933-45 period. Museums currently have this power temporarily under the Holocaust (Return of Cultural Objects) Act 2009, but this only applies until 2019. The announcement was made at a conference on spoliation held at the National Gallery yesterday. Speakers included representatives from official bodies dealing with the 1933-45 period in Germany, Austria, France and the Netherlands. The conference was organised by the government’s culture department and sponsored by the Commission for Looted Art in Europe. The 2009 change in the law over deaccessioning was a result of a claim that had been initiated following research by The Art Newspaper. The Benevento Missal (12th century) had been looted after the cathedral of Benevento was bombed by the British in 1944. The missal had later been bought by an English officer in nearby Naples and sold to the British Library in 1946. Research published in 2000-01 resulted in a claim by the cathedral, with the Spoliation Advisory Panel later ruling in its favour. However, the British Library was unable to deaccession and the cathedral did not want financial compensation. This case led to the 2009 act, which allows deaccessioning of spoliated items up until 2019. Opening yesterday’s conference, the arts and heritage minister John Glen pledged that the government will “do everything in our power to return Nazi-looted art to its rightful owners”. The conference also discussed closer co-operation between the key European countries, and a further meeting is likely to be held in two or three years, in Vienna or Paris. One of the most important suggestions put before the London conference was that the art trade should routinely provide buyers with provenance data for the 1933-45 period. This idea was proposed by Martin Levy, a leading London dealer who runs H. Blairman & Sons, an antique furniture and decorative arts gallery. He is also a member of the Spoliation Advisory Panel. 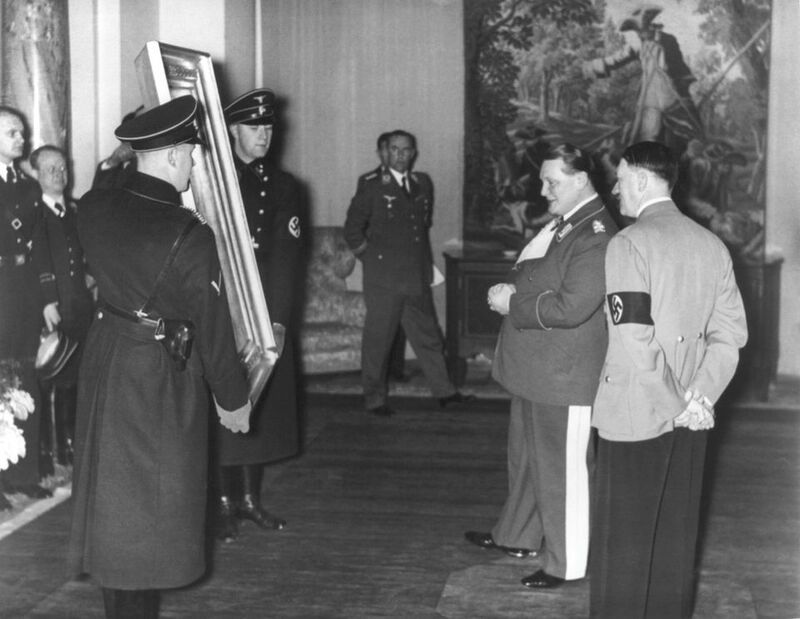 Levy told The Art Newspaper that the dealers should always question the Nazi-era provenance of objects of any importance. He suggests that customers should be routinely given 1933-45 provenance data and, if it is not available, then it should be explicitly stated as “unknown” (or words to this effect). Levy says that this idea should be considered by the leading trade bodies, such as the Society of London Art Dealers and the British Antique Dealers’ Association. In a separate move, the government announced yesterday that the UK has now formally ratified the 1954 Hague Convention for the Protection of Cultural Property in the Event of Armed Conflict and its 1954 and 1999 protocols. It was the 1999 protocol that led the UK to accept the convention but it has taken 18 years to go through the formalities, including legislation that was approved last February. Glen says that the ratification “underlines our absolute commitment to protecting cultural heritage, both here and across the globe”.